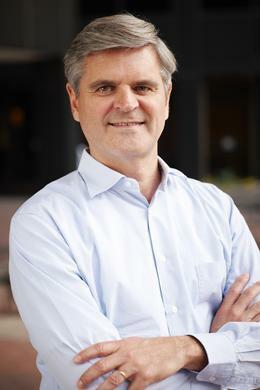 THOUGH the national startup scene has gotten "a little hypey some places," Nashville's entrepreneurial arena doesn't seem overly burdened by hype, said Steve Case, the AOL co-founder, venture capitalist and author. Nashville is "clearly rising," said Case, and the city has assets including recognition, talent, collaboration and corporate presence, particularly in healthcare and music sectors. However, "there is one area in which it can be better still," Case told Venture Nashville during an author's tour here earlier this year for his new book -- The Third Wave, An Entrepreneur's View of the Future. While many locals have stepped forward firmly, Case said he senses there are still too many local stakeholders "kind of sitting on the sidelines," missing opportunities and leaving to it to others to undertake, guide or otherwise support innovation and entrepreneurship in the Nashville area. Asked whether he was aware that local advocates regularly discuss the problem of Nashville's sideliners -- particularly Angel-eligible investors who do not invest in startups' Seed-capital raises -- Case replied that he wasn't aware of that discussion. Rather, he said, his perception is probably a result of "pattern recognition" abilities he has honed during visits to many cities. Case has visited Nashville periodically during the past five years. Related coverage here. Case's comment about the need to get more Nashvillians off the sidelines and onto the playing field no doubt set many local heads to bobbing. However, there are other realities at work. For example: Case warned his audiences here on May 18 that using technologies to improve healthcare by getting physicians, hospital executives and other key actors to communicate better with each other is "not just a matter of dropping something into the App store." Instead, achieving truly disruptive change in healthcare and medical devices, or introducing driverless cars onto highways requires dealing successfully with heavy regulatory considerations, Case notes in his book. Unfortunately, few startup entrepreneurs, inventors and technologists wield any influence in legislative, policy and regulatory settings. Succeeding in such regulatory environments requires not only entrepreneurial perseverance, but also unprecedented capacity for forging partnerships and participating effectively in policy-making, Case says in his book. VNC has thus far been unable to identify existing Tennessee-based organizations that seem adequately prepared to help Tennessee startups and mature companies analyze and confront challenges or seize opportunities in the Third-Wave context described by Case. However, since Case's visit here in May, VNC was able to identify a number of trade associations, consultancies and nonprofit advocacy organizations that could be important resources for Tennessee businesses, including two with relationships with Case: San Francisco-based Engine and Reston, Virginia-based Toffler Associates. Within Case's Revolution LLC, the firm's Growth and Venture funds aim to invest exclusively in "revolutionary" companies with disruptive technologies or models, led by entrepreneurial teams that want to "change the world," according to its website. However, investment from the Revolution Growth program has apparently not yet found its way to Tennessee, according to a map produced by Revolution and recently published by Forbes. Neither has VNC identified any Revolution Venture investments that have been announced in Tennessee. The Ventures fund's website says it invests in early-stage companies "off-the-beaten path in regions where the rest is rising." On a smaller scale, Case and his associates make high-impact Seed investments in startups through their "Rise of the Rest" initiative -- including an investment in Nashville startup Artiphon. Thus, Nashville now competes with 18 other #RiseofTheRest cities. Still more cities are welcome to compete for inclusion in the 5th cohort of #RiseofTheRest cities by applying here by Oct. 3. Case, 57, has repeatedly proven willing in the past few years to join others in helping to beat the drum for the maturation of the Nashville entrepreneurial community. 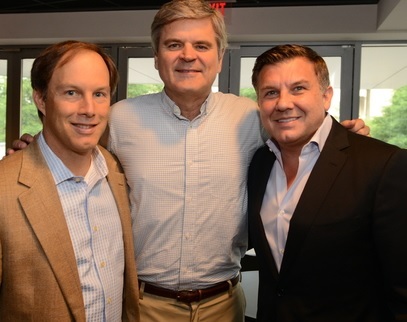 During his visit to Nashville in mid-May, Case appeared alongside Ingram Content Group's Chairman John Ingram and VC Clayton Associates' Managing Partner Stuart McWhorter, a past-CEO of the Nashville Entrepreneur Center. Ingram previously started the Ingram Venture Fund and, more recently, the 1440 Accelerator. 1440 is the year Gutenberg introduced the printing press. During the session with Case, Ingram said his firm has been living its way through the very changes Case describes, adding that "the book industry has changed more between 1995 and today than it did from 1440 to 1995." Ingram explained that the 1440 accelerator is both "offensive and defensive," design to spur innovation for ICG and to defend against initiatives by other innovators. Such initiatives reflect the fact that "a traditional business is not the greatest bastion for creative thinking," said Ingram, who noted at another point that "if someone is going to blow you up, it might as well be yourself." Accelerators and other innovation initiatives help attract talent and produce a succession of new products and services that generate earnings, Ingram said. Ingram noted two months ago that ICG was considering investing in or acquiring several of the companies chosen for its recently completed first 1440 accelerator cohort.